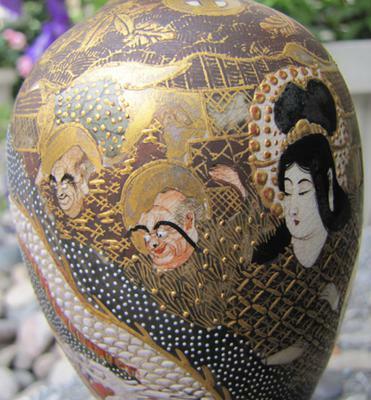 Need help in identifying marks on old oriental vase. Vases are 6.5 inches high. Location Idaho. 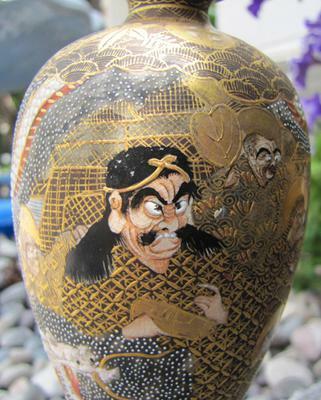 Comments for Need help in identifying marks on old oriental vase. 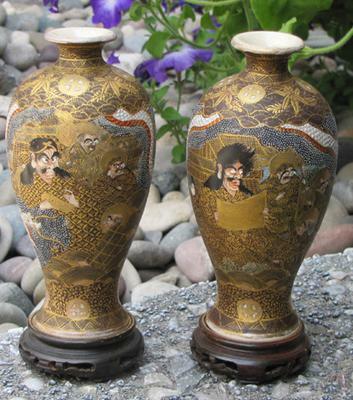 This is Japanese Satsuma ware. The mark says Dainippon Satsuma, you should be apple to find similar items with this information. Seems to be first half of 20th century or older.